Poland demands from Russia to return the debris of Tu-154M, which crashed not far from Smolensk on April 10, 2010 as Polske Radio reported citing Foreign Ministry. It is reported that the statement of Polish Foreign Ministry is the response to the statements of the spokesperson of Russia’s Foreign Ministry Maria Zakharova, according to her, the wreckages of the plane “cannot be returned to Poland in the future, as the criminal proceeding held by the Investigative Committee of Russia on Smolensk tragedy is not over”. As it was reported earlier, the Parliamentary Assembly of the Council of Europe will consider a draft resolution which calls Russia to return the wreckage of the aircraft of former Polish President Lech Kaczynski groundlessly held for eight years in Smolensk. On April 10, 2010, a Tupolev Tu-154 aircraft of the Polish Air Force crashed near the city of Smolensk, Russia, killing all 96 people on board. 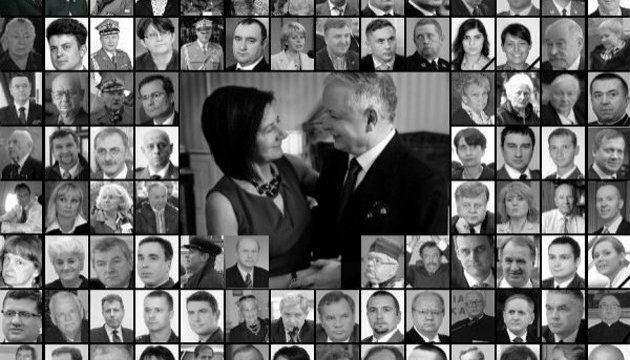 Among the deceased was the-then President of Poland Lech Kaczynski, his wife Maria, many Polish top-rank officials and relatives of the 1940 Katyn massacre victims. The Polish side suspects that Russian flight dispatchers could be behind the catastrophe. Russia, on the other hand, insists that the airliner crashed due to the pilot’s error as the plane was landing amidst the thick fog.